Game manual is written and when you put the credits page together you know you’re getting close to submission! Only significant jobs left are a few dynamic campaign AI tweaks and stomping any last bugs that show up. Overall the game is starting to feel very polished. 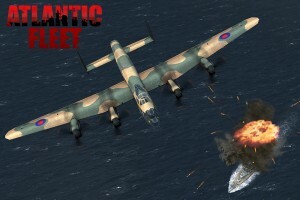 Still no time to shoot a video, but how about we show a shot of an Avro Lancaster landing a direct hit on Tirpitz with a 12,000lb Tallboy bomb instead. As of yesterday, they’re both in the game. Optimization is complete! Memory usage is reduced to 25% of what it was last week and incredibly Atlantic Fleet now uses only a touch more memory than Pacific Fleet. GUI optimization is also complete with an automated method for lining up buttons with the edges of any sized screen on any device. There’s still a few balance issues with the dynamic campaign to solve and some final checking and bug fixes to do. However this week should see the first release candidate versions getting built. It is getting close! With so much coding there’s not been time to shoot some video, so for now here’s a pic of the twins Scharnhorst and Gneisenau weathering an Atlantic storm. Bug hunting continues and we’re spending some extra time to further optimise memory usage by the game. It is a big job and has already improved game performance and stability but perhaps most importantly will allow the addition of ships and scenarios post-release without being limited by lower end hardware. Screenshot is a view from HMS Hood on the morning of May 24 1941 with Prinz Eugen and Bismarck 25,000 yards off the starboard bow. 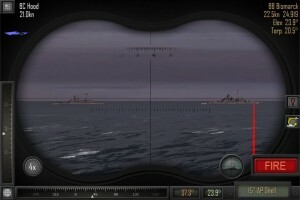 The director (binocular) and periscope views can be zoomed 2x, 4x and 8x to aid with identifying and aiming at targets. 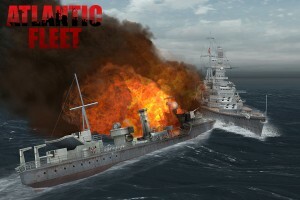 We know many of you eagerly await the release of Atlantic Fleet. At this time testing and polishing of the game continues and we’re working hard to make the game bug free and stable across the various devices. Note that there is no set release date as Atlantic Fleet will be released once we are happy with it and it gets through the review process. Expect more announcements over the next few weeks as we work day and night to get the game submitted to the various stores. 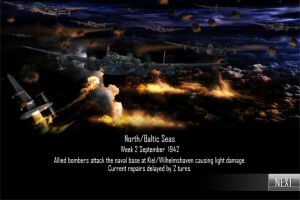 In the meantime, here’s a screenshot of RAF bombers doing their part in a Battle of the Atlantic dynamic campaign. For more info and discussions visit Killerfish Games over at Facebook. Its been a few weeks since our last post and as most of you know, that means we’ve been busy! That’s right! Atlantic Fleet has a full underwater camera which seamlessly transitions between the surface and underwater to reveal the action both above and below the waves. Unfortunately we couldn’t get Atlantic Fleet out in time for Christmas. But rather than leave you empty-handed for the holiday season we’ve put together a quick video showing all of the playable ships currently in Atlantic Fleet. Even better is that the video is accompanied by the game’s original music score. 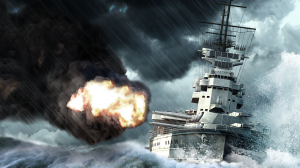 Get ready to take command of the Royal Navy and Kriegsmarine in the deadly struggle for the Atlantic during WWII. Based on the best selling Pacific Fleet, this sequel will build on the proven game play and be packed with dozens of new features, improved graphics, increased realism and a full dynamic campaign. 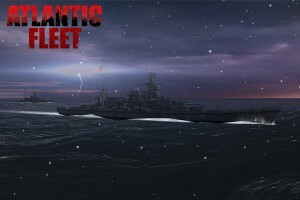 The game is still in development and more details will be revealed over the coming months, but in the meantime, check out the Atlantic Fleet page and join us over at Facebook (Atlantic Fleet) for ongoing discussion and more information about what to expect in this upcoming game for PC, Android and iOS. We might be a small fish in a big ocean but our commitment to delivering killer games on mobile and PC platforms couldn’t be bigger! With no advertisements or “pay-to-progress” in-app purchases you’re in for a refreshing change. 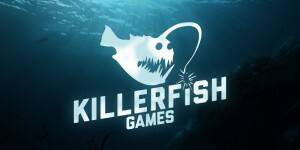 So come on in and explore the site to see what we have been up to and what is coming in the future from Killerfish Games. You’ll also find us actively discussing our games over at Facebook (Pacific Fleet) and Facebook (Atlantic Fleet). 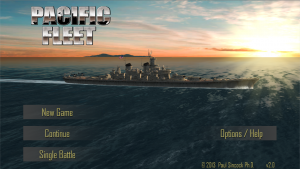 Version 2.10 of Pacific Fleet is now available for all supported platforms. It contains a couple of quick fixes for the Android/Kindle version of the game, but most importantly, it brings the iOS version up to speed with the many recent changes to the game!